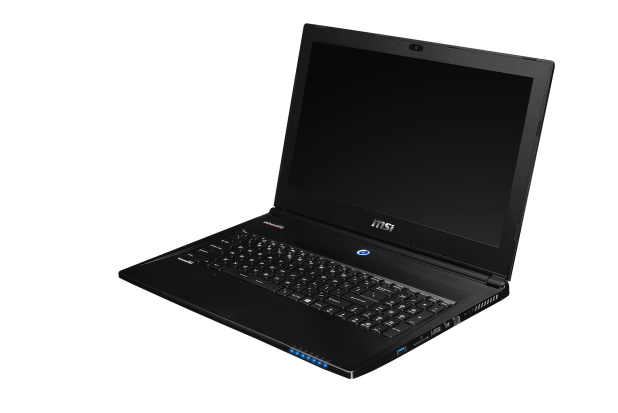 Taipei, Taiwan – Leading gaming notebook manufacturer MSI has announced an updated version of its GS60 Ghost Pro. The unique thin styling and mobility remains, but the new NVIDIA GeForce GTX 970M graphics solution is now utilized for a serious performance increase in gaming. As before, the MSI GS60 Ghost Pro comes with Intel Core i7 processors for maximum processing power and battery life, MSI’s exclusive Super RAID for extreme storage performance and the Killer DoubleShot Pro networking solution. The NVIDIA GeForce GTX 900M Series brings extreme, next-generation graphics performance to serious gaming notebooks. 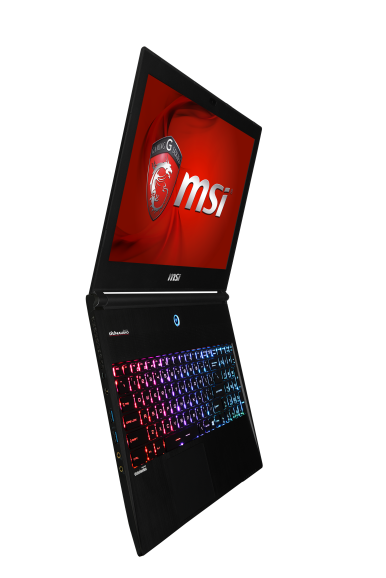 The MSI GS60 Ghost Pro is powered by the ultra-efficient GeForce GTX 970M created on an 28nm manufacturing process. Performance compared to its predecessor is up by 28% in 3DMark 11 and ensures graphics performance is on truly on par with desktop gaming systems. The GeForce GTX 970M has new CUDA architecture design, a 192 bit memory interface and GDDR5 memory. This solution provides enough grunt and space for those ultra-high resolution textures that makes the next-gen games look great. 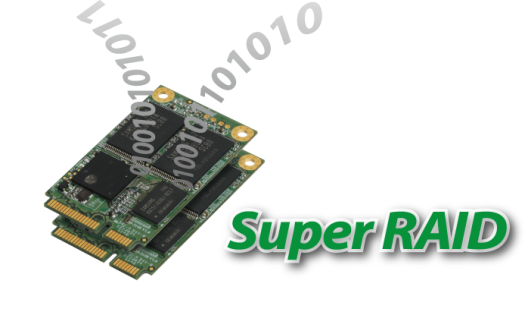 Super RAID, an MSI exclusive technology, enables disk read/write speeds of 1000MB/s and above with 2x mSATA SSDs in RAID0. Super RAID pushes both performance as well as storage capacity to the limit, with transfer speeds over 10 times faster than traditional 7200RPM hard drive solutions. Matrix Display is an innovative MSI design, enabling the GS60 to run three monitors simultaneously. Using mini-HDMI 1.4 and 4K HD capable mini DisplayPort 1.2 in addition to the built-in monitor, you can run two extra monitors as well as the built-in display on the GS60 Ghost Pro. This greatly improves multi-tasking capabilities, whether it be for gaming or work. Working with world leading gaming peripheral brand Steelseries, MSI has created a keyboard for professional gamers with adjustable multi-color backlighting. 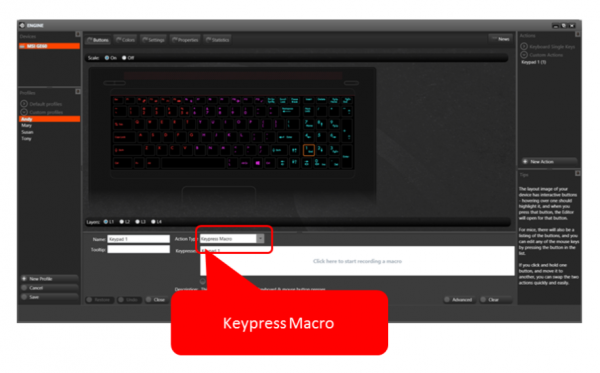 Keyboard feedback is top-notch, durability is up from traditional solutions and the Windows start key has been deleted from its regular position next to LAlt to make sure you won’t hit it during gaming sessions. MSI GS60 Ghost Pro comes with the latest online streaming software, the XSplit Gamecaster. The XSplit Gamecaster lets you easily record your gaming moments and broadcast your live gameplay sessions to Twitch, YouTube, UStream and more. It’s simple, easy to use and ideal for sharing your gameplay with friends family, or the world – Or for capturing those perfect gaming moments, just for the heck of it. Killer DoubleShot Pro supports both Killer Gbit LAN and 802.11ac WiFi. With the help of Killer DoubleShot Pro, latency is lowered by 3.5 times on average compared to other 802.11ac devices. It also comes with the Smart Teaming feature, which optimizes the usage of the wireless and wired connections simultaneously, enabled via the Killer Network Manager. MSI’s Audio Boost enhances sound quality and comes with AMP (Audio Power Amplifier), a program designed to greatly enhance headphone performance and amperage in medium to high-end competition gaming and HiFi headsets and enhancing wrap around sound. Cooler Boost 2 is MSI’s dual fan cooling solution. With two slim fans and two separate coolers for CPU and GPU, it makes sure your system stays cool and performs well at all times. Years of cooperation between MSI and one of the world’s leading speaker manufacturers Dynaudio has led up to the finest sound system in a notebook yet in MSI notebooks. The exquisite sound system delivers an authentic sound experience you will not have heard previously in a notebook, you simply need to hear it to believe it. You will be able to enjoy your games or movies in a whole new way with the Dynaudio sound offered in the GS60 Ghost Pro. Sound Blaster™ Cinema 2 brings the audio experience of live performances, cinemas and recording studios right into your living room. 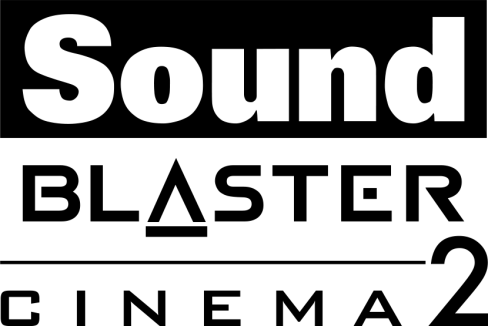 Powered by SBX Pro Studio, Sound Blaster Cinema 2 is designed with many customizable features such as multi-channel speaker calibration, maximizing every speaker’s potential in different layouts, as well as professionally tuned profiles, making the most of common headset and headphone models available on the market.